Residential in size, this richly designed 730 sq. ft. Superior Suite boasts separate living and dining areas. 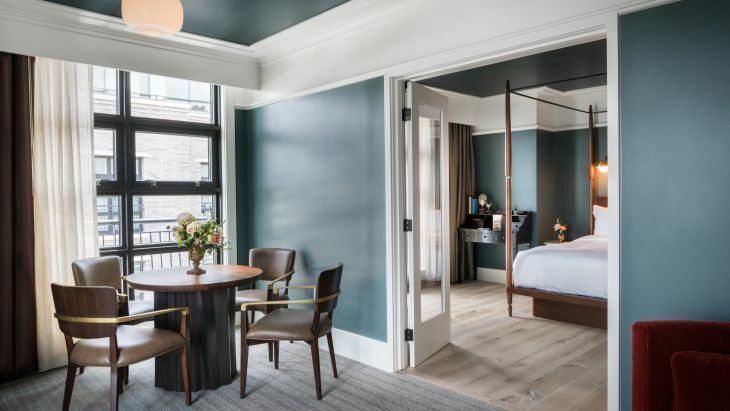 Perfect for guests seeking to enjoy an elegant night in Savannah, this suite features Frette Italian bed-and-bath linens, slippers, robes, Byredo bath products, mouthwash, loofas and a minibar. Please call Perry Lane Hotel directly at 912-415-9000 to confirm availability and to book.